Is R.N.MORRIS Venturing into a dark place? 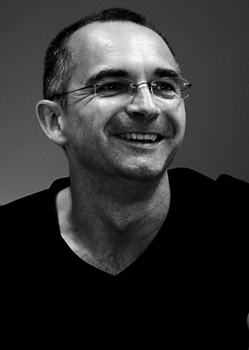 Roger Morris was born in Manchester in 1960, and now lives in North London with his wife and two young children. A Vengeful Longing was shortlisted for the 2008 CWA Duncan Lawrie Prize for best Crime Novel and highly commended in the CWA Ellis Peters Award for Best Historical Crime Novel 2008. 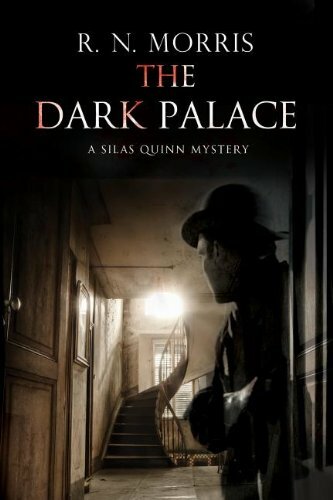 The Dark Palace is the third novel in my series of books featuring the somewhat troubled detective Silas Quinn. Yes, I know. All detectives are troubled. Still, I like to think that Silas’s unease is peculiar to him. Or perhaps his unease stems from the period - or a combination of the period and the man. The books are set just on the eve of the First World War (which, as we all know, started 100 years ago this year). As I imagine it, it’s a kind of false golden age, in some ways both decadent and innocent. For the modern reader, the story is inevitably darkened by the shadow of the impending catastrophes of the twentieth century. But the characters carry on their lives with only the dimmest intimation – if any – of what is to come. In fact, Quinn’s unease doesn’t really come from his anxieties about the future. Being a detective in a detective novel, he’s naturally haunted by ghosts of the past. His father committed suicide when Quinn was a medical student – a career that he had to abandon following the breakdown that ensued. His father’s death happened to coincide with the first (unrequited) love of his life. The experience left him with an awkward manner around women. The three novels so far are set very close together in time, and occupy the same geographic space – London. However, each novel explores a very different milieu, which I hope gives them a distinct feel from one another, and means they can be read as standalones. The milieu in The Dark Palace is the silent film industry. The dark palace of the title is a cinema of the time, one of a chain of ‘Porrick’s Palaces’. Magnus Porrick is a fictional character who owes more than a little to the historical figure of Montagu Pyke, who by all accounts (apart from his own, perhaps) was something of a shady character, mixed up in fraud and even manslaughter. I originally wanted to call the novel The Eye Collector but I found out there is already a novel with that title. So I changed it to The Dark Palace. (Then found out there’s already a novel called that as well.) As the book has turned out, the title it has suits it better than the title I thought up before it was written. Anyhow, I wanted to write a novel about eyes. Or, more accurately, about perception. Perception – and observation – are crucial to the work of a detective. In fact, looking back at all the crime books I’ve written, including my Porfiry Petrovich series, I noticed that eyes seem to feature quite significantly. Perhaps I was fascinated by eyes (though not, I hope, to the extent of the characters in Georges Bataille’s novel Story of the Eye)? At any rate, it seemed time to look my preoccupation with eyes in the eye. And so, eyes, and crimes against eyes, feature in the story. But so does the creation of images that ravish the eyes, as well as disturb the mind. I had a lot of fun thinking up the story lines to my monocle-wearing Austrian director’s films. Spying also plays a part. This is just before the First World War, remember, when German spies were thought to be everywhere. And, of course, as the story features a police detective, there’s a fair amount of police surveillance and forensic observation. The world of spies and the world of films come together and are found to have a lot in common. In both, appearances can be deceptive. And no one is exactly who they seem to be.